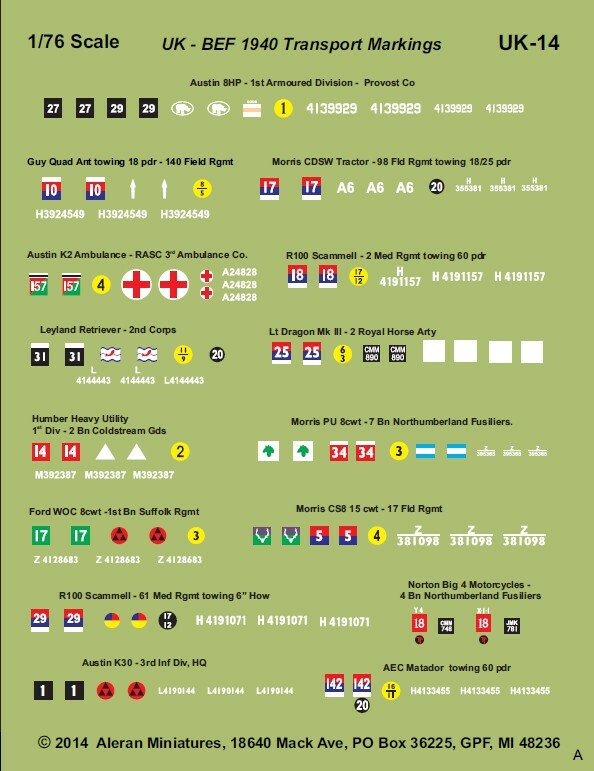 This sheet provides markings for 15 different softskin vehicles used by the BEF in France 1940. Information is taken from numerous period photographs. Complete instructions show the marking location for all these vehicles.